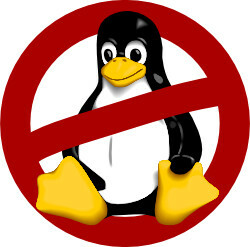 Those keeping themselves apprised of Linux news will be aware of a particularly nasty issue that reared its head earlier this year. It was discovered that installing Linux could end up bricking some Samsung laptops. Subsequently, Matthew Garrett discovered that it wasn't just Linux; Windows could also brick these laptops (although it seemed not to do so naturally). So it came to be understood that the problem was a bug in Samsung's UEFI firmware, and might be something akin to a buffer overflow. Linus et al were quick off the mark, removing the samsung-laptop kernel driver, which seemed most capable of triggering the bug. Of course, the new kernel version takes time to work its way into the distro's installation discs, but I would imagine it exists in Ubuntu 13.04 now. Whether this change removes all possible triggers is another question. Nobody seems to know for sure. There are rumours that bricked systems may be recoverable by clearing the CMOS. But who really wants to risk it? Like many people, I have a Samsung laptop on which I intend to install Linux, and had been following developments with interest. I kept expecting a BIOS update to emerge, yet nothing appeared forthcoming. The end user community was still waiting; the Launchpad bug report was still open, and Ask Ubuntu's various questions were still open issues. At that time (25th March), there was no BIOS update available, but a couple of weeks later BIOS update P08ABE became available in SW updater. There was no description and no changelog. Furthermore, there was no information available about it anywhere online. Was this the update allured to in Samsung support's email? Technical Support are only here for hardware faults and as such we only have access to the same information as that which is released to the public. As such I have no further information for you at this time. I have approached Samsung regarding the issues surrounding the loading of Linux and the official response received was that we do not support the operating system. As such I am unable to help with the matter and can only advise that any problem caused by changes to the OEM operating system will not be repaired under warranty. I do appreciate support's frankness; when you're the bearer of bad news, it's often easier to try to gloss over things than it is to lay out the facts clearly and plainly. Frankly, I did expect more from Samsung; I expected dev & test prioritisation, an unprompted flow of information to end users with an indication of a timescale, and an immediate acceptance that any firmware bugs would be covered by the warranty. However, at this stage, things are still in flux; we'll have to wait to see where the pieces come to rest. The hope is just that they do so sooner rather than later. Update: The support contact I'm in dialogue with (a most friendly and amiable chap) has offered to look into the P08ABE BIOS update. Hopefully I'll have some more information soon. I suspect that P08ABE won't be the fix we're waiting for, but it will be nice to have that clarity. Update 2: Support has informed me that they are unable to provide any information about P08ABE.